Indoor (motel/hotel accommodation room or home use) and Indoor (Unit is either 'already quiet' OR there MAY be quiet fan upgrade available, ask staff. 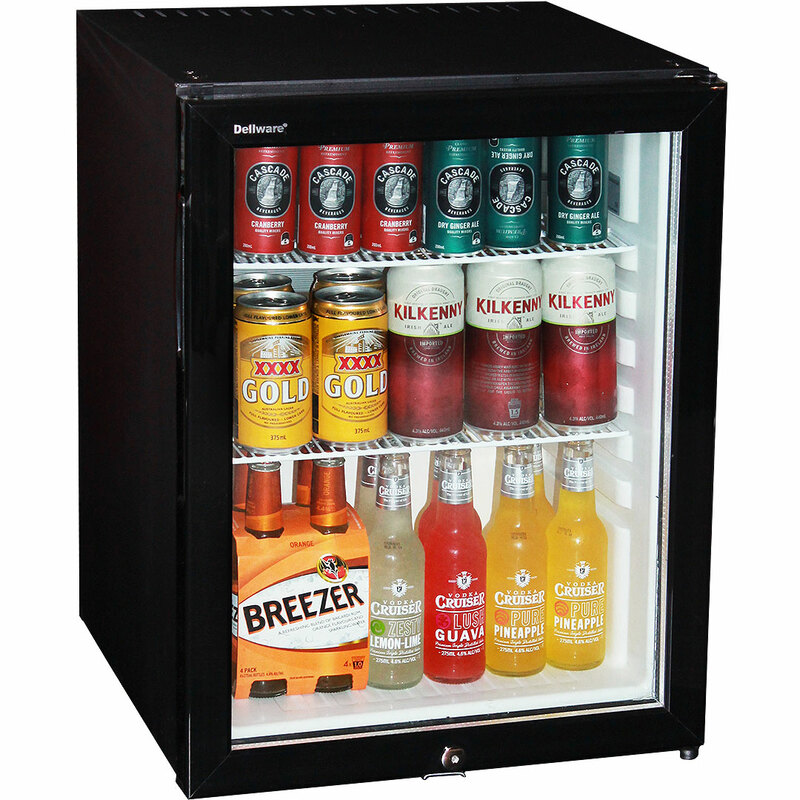 "Dellware silent absorption cooling 60 litre mini bar fridge with lock, nice cold inner temperatures. 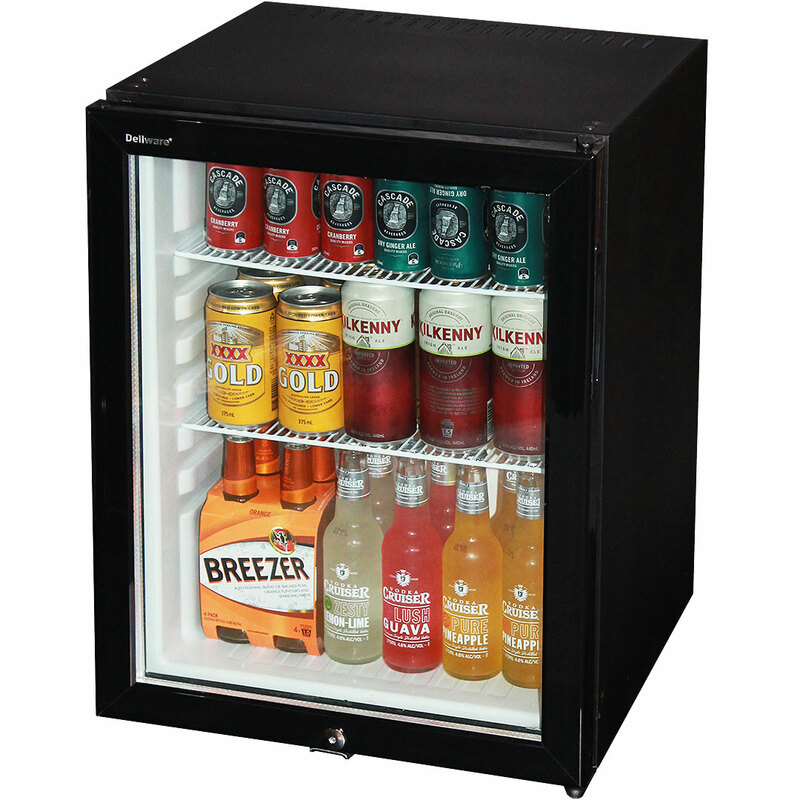 Designed specially for hotels, motels, homes and accommodation venues"
Glass door silent mini bar fridge from a world leading manufacturer. Currently supplied to many worldwide chains like Shangri-La, Hyatt, Radisson, Accor, Starwood, Hilton and IHG. 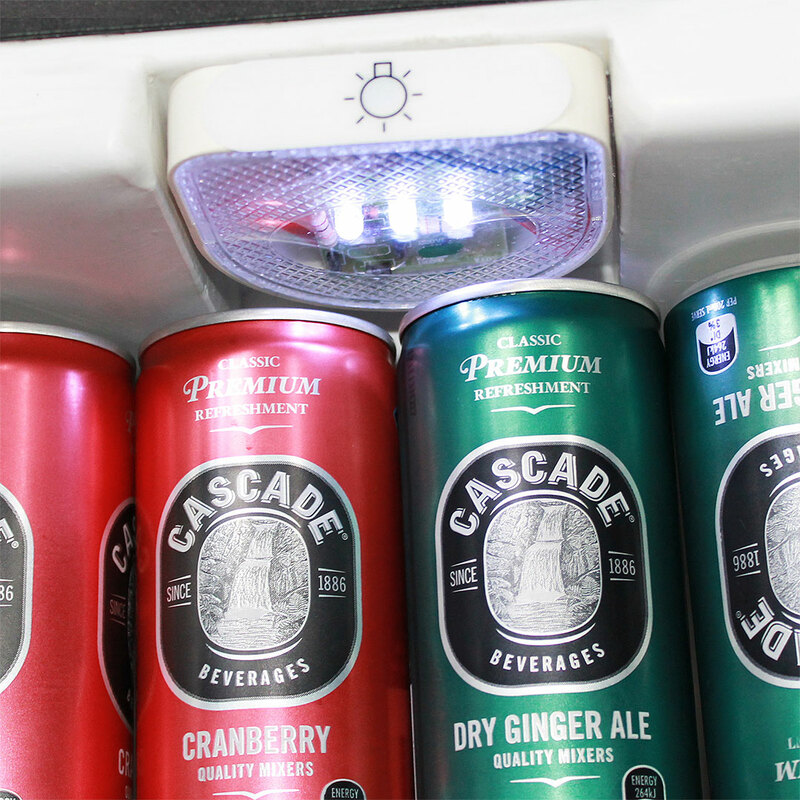 This great little fridge will serve you well for a long time. 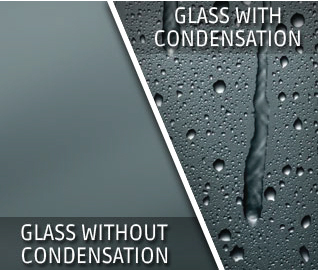 It is silent running, can do 2°C to 8°C no problems in an ambient temperature of 25° or under. Great for accommodation venues like hotels, motels and nursing homes. NOTE: The room temperature MUST not get above 25°C for this type of mini fridge to cool properly, it DOES NOT have a compressor. NOT suitable at all for alfresco or anywhere that room environment is not controlled. 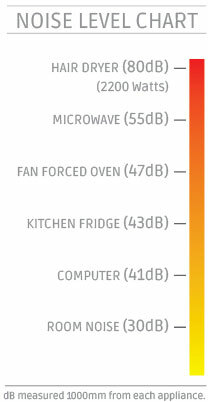 Absorption cooling is 100% silent. Used by some of the biggest hotel chains including Shangri-La, Raddison and Hilton. "Item does the exact job it was purchased for." 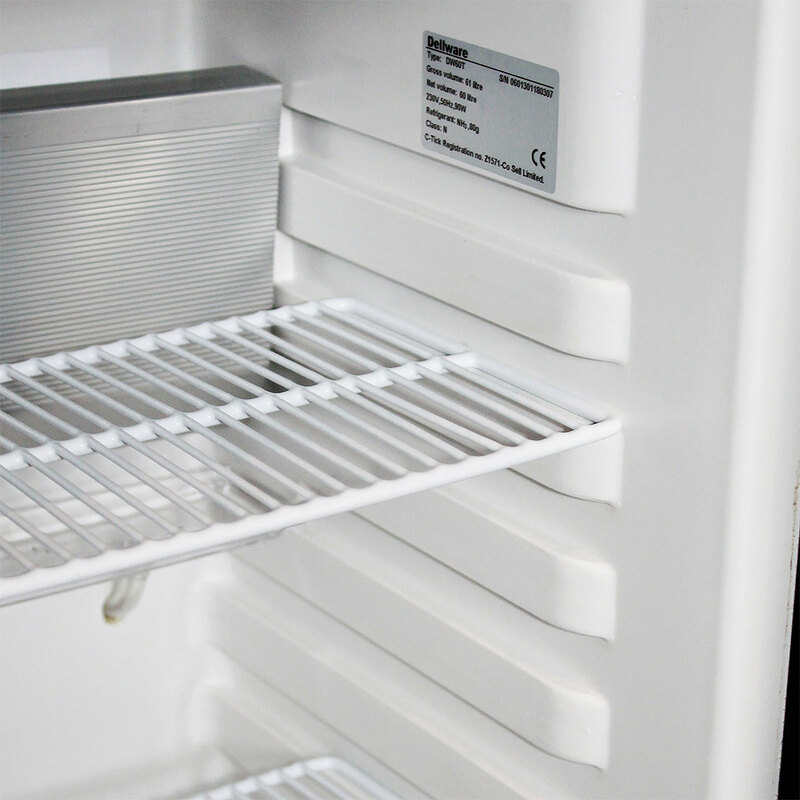 "This is truly a silent fridge - ideal for a small bed-sitter. 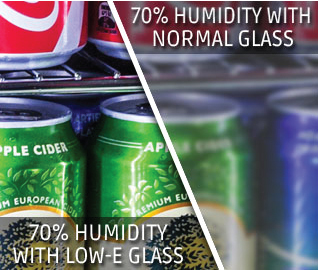 The temperature inside this type of fridge depends on the room temperature, so in summer it works best in an air-conditioned room." "Stylish and efficient - and super quiet"
If you are building this fridge in, your cavity will need to be at least 500mm wide, 625mm high and 580mm deep. Minibar must stand on a level surface. There should be 20mm clearance to the rear wall. 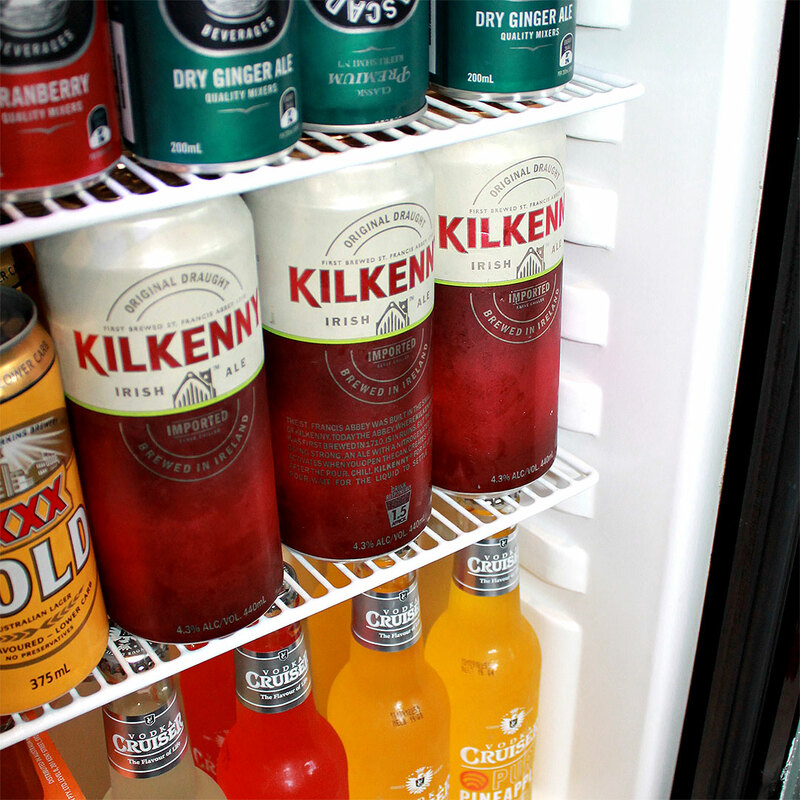 No clearance required for the minibar top, side and bottom. Air must be freely circulated through the cooling system. Air must be preheated by any source of heat. In case that grills are added to the air in or out, an opening of 200cm2 minimum must be assured. A chimney is created in the back. 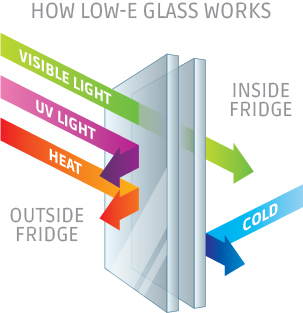 Cold air enters through the furniture at the base, passes through the cooling system, and warm air rises and escapes. If cabinet is 'open' at front you need approximately 20mm minimum ventilation at sides, then rear exit point either above or 'over' the fridge. If unit has cabinet door in front of fridge door you need vent under unit, at rear of unit, including 100mm open under units and at top. 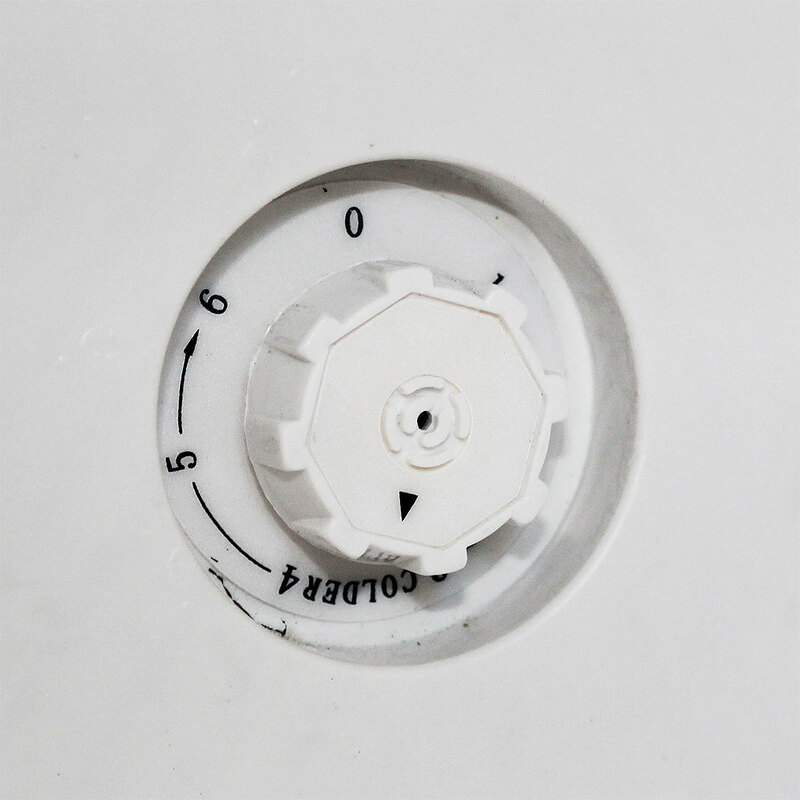 If you have another idea of method to install please contact us so we can advise, there are other wayts to install, this is just the most common way.